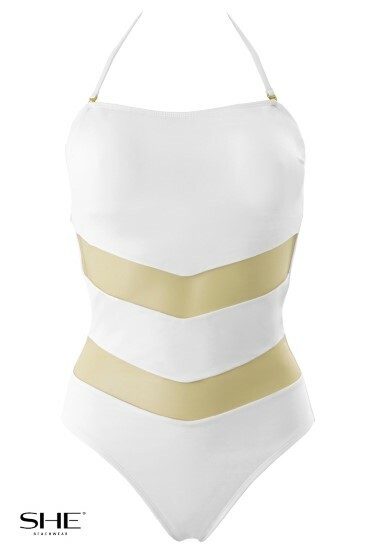 If you'd like to make a furore you should have this one-piece swimsuit with geometric inserts of transparent mesh. They are absolutely invisible on body, making an effect of a naked skin. Non-fixed pads and ties on the back make it practical and comfortable. The swimsuit can be also used as a top wearing with a skirt or shorts.